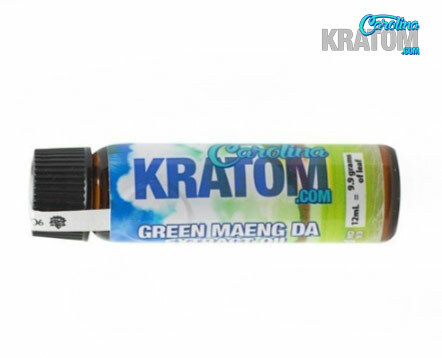 Carolina Kratom's Green Maeng da liquid extract has been a popular favorite among most of Carolina Kratom's customers. Green Maeng da liquid extract is packaged in a 12 ml glass bottle and is equivalent to 9.9 grams of regular leaf powder. If you are looking for something on the go look no further Carolina Kratom is here! Green Maeng da liquid extract is perfect to take with you anywhere. Slip it in your pocket or throw it in your bag. Many reviewers say Carolina Kratom's Green Maeng da liquid extract has a smooth and palatable taste when comparing to regular leaf powder. 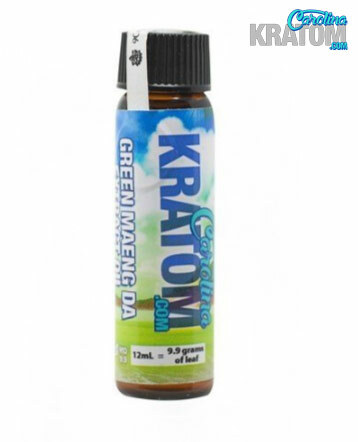 When you treat yourself to Carolina Kratom's Green Maeng da liquid extract you'll quickly start noticing it's effects as the liquid absorbs much faster and has been said to even be longer lasting than your typical regular leaf powder. Carolina Kratom's customers have reported a great sense of well being improving their mood which in return benefits their depression. These customers are also noticing a mild energetic feel and helpful properties for their pain. Treat yourself today by adding Carolina Kratom's Green Maeng da liquid extract to your bag today! 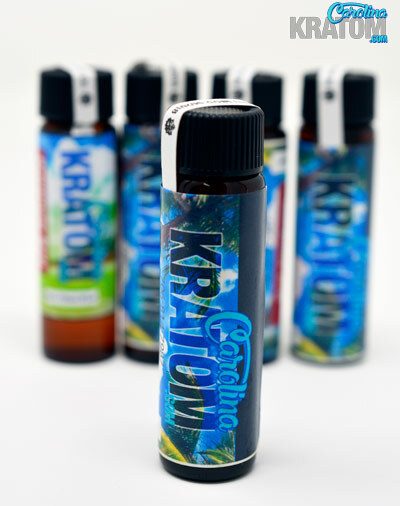 Carolina K has the best kratom products on the market! Great to do business with! I love Carolina Kratom. They have the best products and services. Carolina has the best extracts! The green MD is my favorite for on the go and busy days! Perfect size and super convenient! Ive tried a few of the liquid extracts through a few companies and Carolina -K- I was extremely happy with. All their products are good quality and shipping was super quick. Yet another fabulous extract from Carolina Kratom!! I carry these in my handbag in case my pain increases during the day.. I can't be without them ! Thanks so much for these liquid extracts!! Green Maeng Da is a great strain for mood and an energy boost. Love the extracts for when I’m traveling or can’t take my powder. My favorite liquid by far, I have tried a bunch and this one is my favorite. Best strain, best vendor. Thanks Carolina Kratom awesome product.